Château Tanunda, the winery built by the first Barossa winemakers in 1890, is a true taste of vinous grandeur and European influence. It was a working winery within a year, an impressive achievement given the lack of construction technology available at the time. Production at Château Tanunda marked a key milestone in the start of Australia’s winemaking journey. When phylloxera wiped out much of Europe’s vineyard plantings, depleting wine stocks, word was sent to the colonies to produce quality red table wine and export it to the UK. French winemaker Charles Gelly was the first winemaker at Château Tanunda, and a veritable ivy league of winemakers has followed, including Professor Arthur J Perkins, Geoff Merrill, Robert O’Callaghan, Grant Burge and Ralph Fowler, amongst many other luminaries. This heralded the beginning of the ‘new Château Tanunda’. The cellar door, croquet lawn and Château Tanunda’s Grand Ballroom were transformed. A 2,000 square metre old tank farm was discarded and the cement bases became a stunning sunken garden, designed by landscape architect Brenton Hann. John, a cricket fan, also established the Château Cricket Ground (the CCG), which is known as one of the most picturesque regional cricket ovals in the world. It continues to be used for matches and events today. “But our focus remains on creating world class wines from the Barossa. We’re still a boutique winery, of less than 1,000 tonnes, making elegant, restrained wines using traditional methods such as basket pressing and minimal intervention, combined with the best modern winemaking technology,” says John. Senior Winemaker Neville Rowe creates wines that range from accessible entry level reds and whites, through to the iconic Everest Shiraz which retails for $210 per bottle. Neville’s Old Vine Expressions range introduces customers to the world of old vines, and includes the 50 Year Old Vines Shiraz, the 50 Year Old Vines Cabernet Sauvignon, the 100 Year Old Vines Shiraz, the 150 Year Old Vines Semillon and the 150 Year Old Vines 1858 Field Blend. Each old vine wine is made in miniscule amounts, with fewer than 3,000 bottles of some wines released. The vines that create the 150 Year Old Vines Semillon are among just 2.5 hectares of ‘Ancestor’ aged Semillon vines in the world. So special is this wine that James Halliday selected it to represent Australia at a G20 Summit, where Barack Obama sampled the wine. The true strength of Château Tanunda is its old vine heritage. 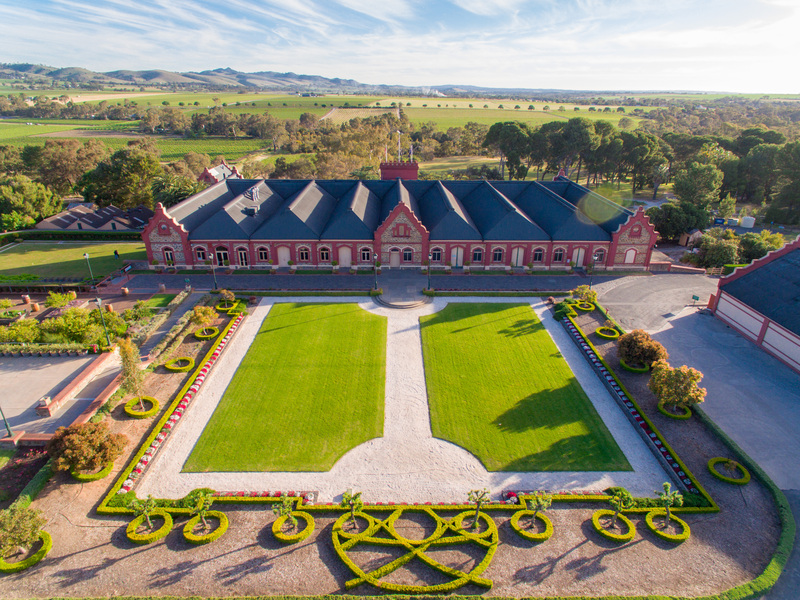 The Estate is the site of the first winery built in the Barossa in the 1840s by the Fiedler family. The vines of the 100 Year Old Vines Shiraz are some of the oldsest Shiraz in the world, and the 1858 Field Blend block is thought to be home to the oldest continually producing Malbec vines in the world. Lot 8W is a 6 Litre Imperial of 100 Year Old Vines Shiraz. From some of the oldest Shiraz vineyards in the world, this perennial award winner and Barossa Trust Mark recipient offers all the hallmarks of a World Class Shiraz. Only 25 Imperials of the 2016 vintage were produced and this special edition comes signed by Senior Winemaker Neville Rowe. Lot 9W is a vertical celebration of 100 Year Old Vines Shiraz: three 1.5 Litre Magnums of the 2008, 2012 and 2015 vintage. Hand selected from the private collection in the Château Tanunda museum cellars and with fewer than 50 bottles of each in existence, this lot is ideal for the serious collector. The pioneering spirit that guides every decision at Château Tanunda is now evident in the winery’s latest viticulture project, the Amphitheatre Vineyard. This includes a new Cabernet Franc vineyard John and Neville are planting on an eastern facing slope in the Barossa, selected for its ideal soils, aspect, and climate.